Your engine is the heart of your vehicle; if it isn’t working properly, you can be sure you’re not going anywhere anytime soon. Proper engine maintenance also ensures that your engine doesn’t overheat while on the road, or cut out at an intersection. An improperly running engine is a huge safety issue when it comes to your vehicle, and the safety of those inside. Wile the engine looks like one giant car part, it is made up of many different components which work together to create and distribute energy throughout your vehicle. At Glenn’s Auto Repair, we suggest regular engine maintenance, to prevent future problems, and future money drains on your vehicle. 1. Keeping it Clean: Your engine does a lot for your vehicle. In fact, without it, your car wouldn’t be getting very far at all, which is why it’s important to keep your engine clean of debris, dust, and grime. Over time, filters can become blocked, leaves and dirt blow under the hood, and insects find their way into your vehicle. Grease which covers your engine can trap heat, making it difficult for your engine to cool down properly. Your mechanic will likely use, or recommend a degreaser to carefully clean the exterior of your engine. A vacuum tool may also be used to remove debris and dust from around the casing. Fortunately, the way that your engine is put together keeps most of the debris that enters your vehicle away from the working components of your engine. However, if you notice any odd noises, smells, or smoke coming from your engine compartment, call your mechanic as soon as possible. 2. Spark Plug Service: To keep dirt and grime out of the combustion chamber, your spark plug should be periodically cleaned. To do this your mechanic will remove the plug lead, clean the space around it, remove the plug, and use a special cleaner and brush to remove any build up, dirt or dust. This is such a small job, but it can go a big way to improving the overall performance of your engine. 3. Proper Lubrication: There are so many moving parts in an engine, that it’s crucial to have proper lubrication always. Otherwise, the friction caused by many of these moving pieces will begin to rub and grind and cause damage. Sometimes, this damage is irreparable, and will result in the need for replacing one or more parts before your engine will function properly again. Your mechanic will work to ensure that your crankshaft, piston rings, and cylinder walls are properly lubricated to avoid friction and damage to your vehicle. This is also a good time for your mechanic to check seals in certain parts of the engine to be sure that everything is fitting together the way that it should be for a smooth ride. 4. Oil Change: It’s such a simple procedure, and yet so many put it off until it’s too late. An oil change can make all the difference to the performance of your engine, and the overall performance of your vehicle. Over time, your oil can become cloudy, murky, and sticky, and this doesn’t help your engine get the most from its lubrication system. Your oil should be checked and changed once every 6 months of 10,000 miles to ensure that your vehicle is in tip top shape, and your engine is getting the best from the oil it uses. Unsure about whether your oil needs changed? Call Glenn’s Auto Repair for an oil check today! If you notice an issue with your engine, the best thing to do is make an appointment with your mechanic. The longer than an engine problem goes unfixed, the more damage it will begin to cause. What might have been a simple fix could turn into the need to replace many different parts and pieces. 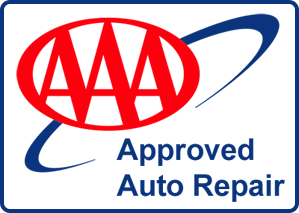 For more information on engine maintenance, prevention maintenance, or our other auto services, contact us today. At Glenn’s Auto Repair, we put our client’s safety first, which is why we work hard to provide high-quality service every time we perform a job on your vehicle. Learn more about preventative maintenance and why it’s important through our company blog, or book an appointment with one of our certified mechanics at your convenience.